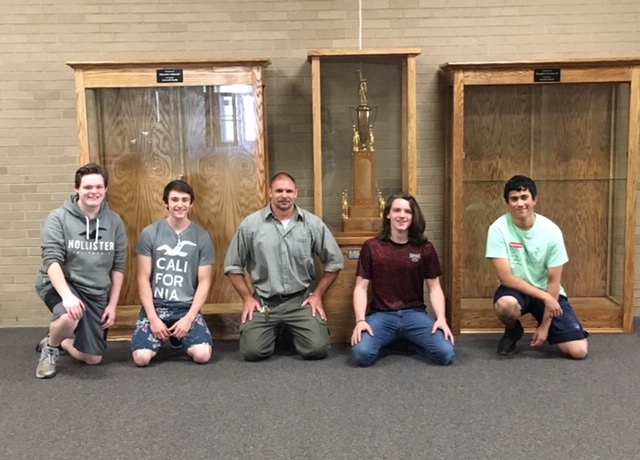 Mr. Fedorko's woodshop class creates trophy cases for GNA. “There is no elevator to success. You have to take the stairs.” A few students at GNA have learned this throughout their journey in building trophy cases. GNA began its high school wood shop program in 1970, when the high school was first built. Currently, the class on the course selection sheet is listed as Tech Exploration, but is officially called industrial technology. Nowadays, many people are not familiar with the satisfaction of creating something beautiful out of raw material through hard work and dedication. Tech Exploration is meant to allow students to bring out their creative sides while working in a non-typical classroom. Dr. Ronald Grevera, the district’s superintendent, stated that the project originated in 2013 with his taking office. 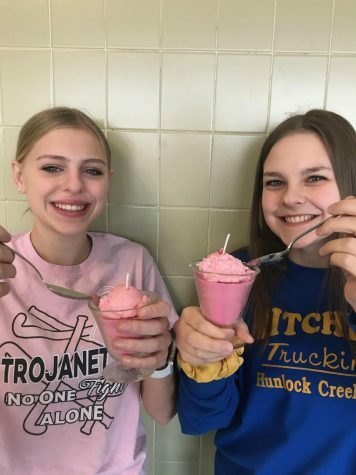 Funding was raised through private donations from both families and businesses, with two families donating money in memory of deceased family members (Ronald J. Grevera, Sr. and Edward J. Lukowski). 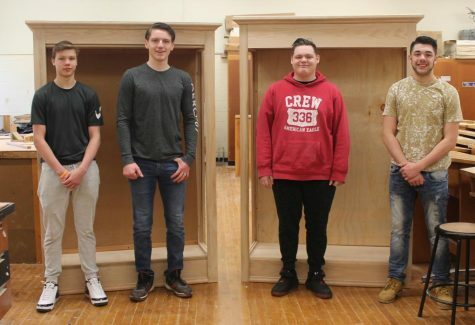 The project began at the Wilkes-Barre Area Career and Technical Center (CTC), with two trophy cases being constructed; this number, between last and current school years, will rise to four. The project aims to teach students to use their hands to construct objects instead of simply purchasing them. The point of the project is to teach students to use their hands to build things instead of just going out and purchasing them. Mr. Fedorko, GNA’s Tech Exploration teacher, said the project originated when Dr. Grevera asked him if his students could build them cheaper. On average, each case costs $600 to build; a brand-new case can cost anywhere from $1,200 to $1,600. The money saved from building the cases in-school can fund other projects or programs throughout the school district. 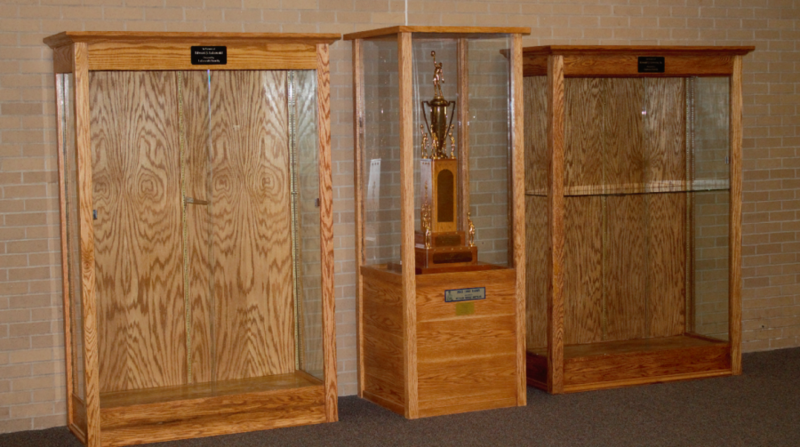 The main goal of the project is to teach students to build cabinets and trophy cases from scratch. This provides them with knowledge of techniques which they can utilize and put to use throughout their lives. The project also aims to transfer the GNA’s trophy collection from the high school library and proudly display them to the public, allowing guests of the school to see more of the prizes and awards netted by GNA. Opportunities like this are only brought to fruition by offering Tech Exploration and associated classes. “Are we allowing everyone a fair shot at the American Dream if we remove trade programs from schools?” says Momentum Innovation Group. Classes that teach students life skills are becoming less common, and academics are overwhelmingly the main focus in schools. According to Time Magazine, “It seems that for some policy makers, ‘academic’ is a synonym for ‘intelligent.’ It is not. 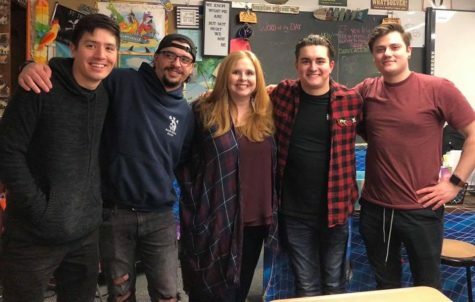 It has a much more limited meaning and refers to intellectual work that is mainly theoretical or scholarly rather than practical or applied.” Allowing students to take shop classes in high school helps students decide whether or not the profession of woodworking is something they want to pursue for the rest of their lives. 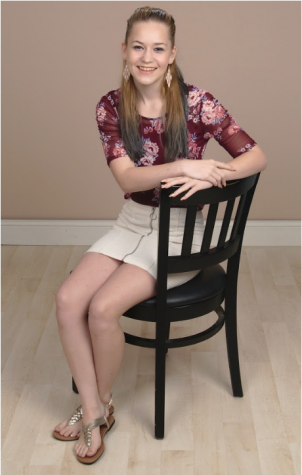 My name is Brianna Stritzinger, and I’m a senior at Greater Nanticoke Area High School. This is my second year working on The GNA Insider.